The following is an excerpt from an article on Crop Life International about disease fungi that damages crops. Anthracnose disease can affect almost every crop, causing the formation of black lesions and making fruit or grain inedible. It has a wide range of hosts, including cereals, legumes, vegetables, perennial crops and tree fruits. 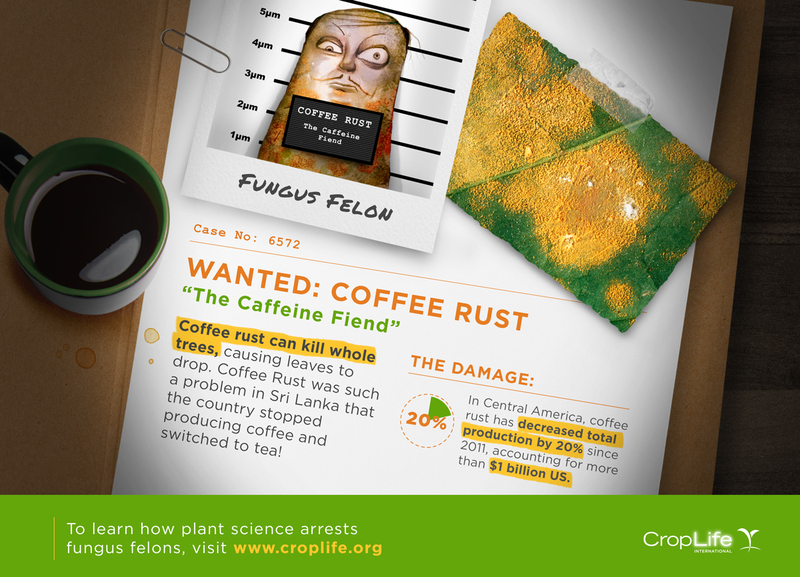 This fungus also affects crops post-harvest with the potential to wipe out everything in storage! DAMAGE: Anthracnose causes about $93 million worth of damage to Spanish olives a year and up to 50 percent yield loss of chilies when uncontrolled. 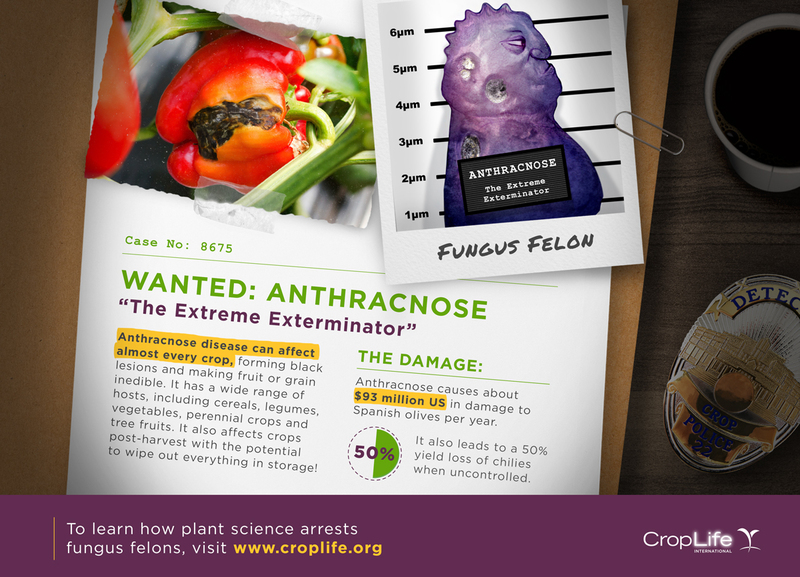 To learn how plant science arrests fungus felons, go to www.croplife.org. Rice Blast can affect any part of the rice plant – its roots, leaves, stems or seeds. The spores of this fungus spread quickly through the air, thereby infecting plants throughout fields. Rice Blast is aptly named as it “blasts” through fields and can wipe out entire rice crops in epidemic cases. DAMAGE: Rice blast wiped out 5.7 million hectares of crops in China between 2001 and 2005. Each year, the fungus destroys an amount of rice large enough to feed 60 million people! Stem Rust is widely known as wheat rust because this is the primary crop affected but it also impacts barley. 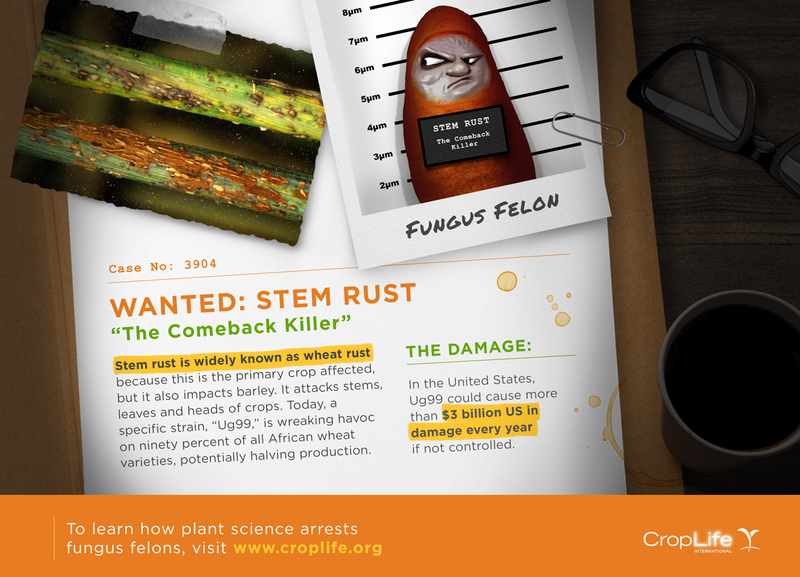 The fungus attacks stems, leaves and/or heads of crops. Today, a specific strain, “Ug99”, is wreaking havoc. Ninety percent of all African wheat varieties are vulnerable to it, potentially halving production. DAMAGE: In the United States, Ug99 could cause more than $3 billion in damage every year if not controlled.